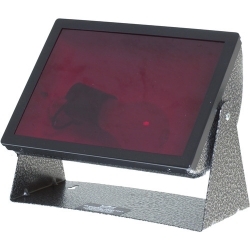 The Premier 5 x 7" Safelight is an excellent choice for the home darkroom. 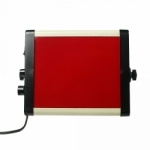 It is a small, economical unit allowing for interchangeable filters to satisfy different darkroom printing needs. Its head can be tilted up or down. NOTE: A red filter is used for standard photographic and litho materials, contact duplicating, and diffusion transfer materials. Application: Standard black and white, or litho-orthographic printing.